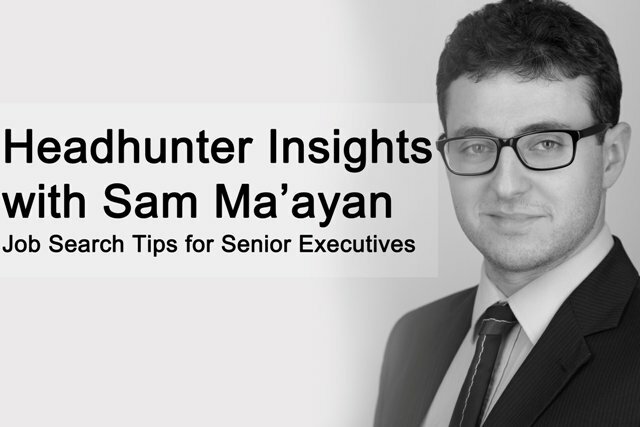 Sam Ma’ayan, Senior Consultant at Morgan Hunt and a specialist in Not for Profit senior recruitment, explains why some senior executives seem to find the perfect new senior level job and how you, too, can create your own luck to accelerate your career in 2016. I am a sector specialist in Charities and the Not for Profit sector on the newly minted Morgan Hunt Executive recruitment team. I joined the company at the end of May having working (mostly) in Not for Profit senior recruitment for the last four years, from Researcher through to Senior Consultant. As in all sectors, our clients often expect preferential or reduced fees due to the nature of their sector (forgetting our pricing has been formatted with our clients sector in mind). Therefore, the buzz-word of recruitment team must be ‘value added’ – we strive to do as much as possible, whenever possible, to ensure that we are the best option for our partners to recruit through, rather than the quickest or the easiest. What is the main challenge that senior level job seekers face in 2016 and how can they get ahead? When applying for junior positions, roles are advertised regularly and it’s (comparatively) easy to find interesting things to apply to. However when applying for executive positions, a significant challenge can be finding anything that you think you might enjoy, and could be a strong career step. That being said, it’s no luck that some senior executives seem to move into dream jobs for them; and it’s not misfortune that you did not even see their job advertised. The trick is that many of them actually created the senior level job opportunities that they moved into – and you can too! Where to start? Anyone suitable for a post on a senior leadership team will be able to analyse the successes and failures of a company in a basic manner. How do sales rank against competitors? What customer feedback are they getting? How do their Glassdoor reviews sound? There are plenty of questions that can be answered by analysing publically available information to identify how you can help. The real trick is narrowing your search down, as it’s too time consuming to be possible to achieve with too many companies. This is where you stop asking yourself ‘who has a senior level job opening’ and start asking different questions – who do you admire, and who would you like to partner with? Who does something you care about? These are the companies you will be approaching. The good news is that you get to decide who the best person is for you to speak to about the business issue and your plan. The bad news is that you have to decide who the best person is for you to speak to about the business issue and your plan! The person you will be aiming for will be one level more senior than you would be (ideally), and directly responsible for that area of the business (or a line manager in other words). Do your research and detective work on their websites, LinkedIn etc. and simply pick the best match – if there are two possibilities, then make two approaches! Quick hint – internal recruitment professions are great at filling the roles they are told to hire, but do not have the authority to make decisions about creating roles. They will not be your best bet (unless it is an issue with internal recruitment of course). Identify yourself early – who are you, and what you do. Be direct – why are you contacting them? Let them know early that you have an outcome in mind. Separate facts and beliefs – official sales figures that show a product being outsold by a rival is a fact. The average rating review on Amazon a month after product launch is an opinion. Give your action plan – this doesn’t need detailed, but it does need to be substantiated. Along the template of ‘I will improve x, by doing y, as I did in situation z previously’. Propose how to move forward – an open ended question will get an open ended response. You need action, so suggest action; ‘let’s meet and discuss the issues further’, ‘why don’t we arrange a call to discuss this subject’ etc. The point of the exercise is not to get a foot in the door. It is to create a door to walk through – and if you are the one who created door, there are unlikely to be many other people competing to get through it. It takes practise and perseverance to get the approach right, and a lot of research. But it is a strong tactic to build success and create senior level job opportunities in organisations that you really want to work with. Flex your entrepreneurial muscles and create those jobs!